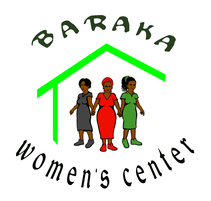 Baraka Women's Center (BWC) opened in October 2012 and was named by the members. "Baraka" means blessings in Kiswahili. More than 1000 women, ages 16-69, have registered as members since 2012. A majority of them live in slums throughout Nairobi including: Mathare, Dandora, Kariua, Kibera, Korogocho, and Kangemi. Many are single mothers, and most are under-educated. Programs have enabled them to increase their skills, knowledge. and confidence in creating the futures they desire. Adult Education: 36 women graduated in basic reading and writing in November 2013; an additional 40 women attended classes in 2014-2015. This foundational program will grow with additional funding! Entrepreneur and Leadership Training: 121 women graduated from two 16-week courses. Of those groups, 61 women – and amazing 50% – established profitable businesses. 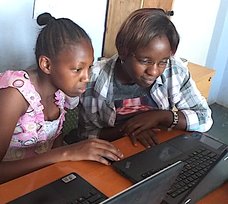 Computer Training: 35 women participating in hands-on sessions. Table Banking: 21 registered self-help groups formed to support members’ businesses and startups. Membership total: 452. Gender-Based Violence Awareness and Counseling: Three series of training and counseling for 200 women and 80 men, in partnership with MEGEN. Stress and Depression Management: 77 women participated in two series of workshops. Vocational Training; 20 women graduated the first course in Summer 2018 in salon skills. Baraka Fashion Accessories – a business start-up that produces and markets handbags, jewelry, and sandals hand-crafted by members trained in beadwork at the Center. "We arrived at the Center and were received a warm welcome by lovely and lively women. What a place to be! Where you feel you belong and you are worthy!" "Today I am a different person from the time I joined BWC. I am sincerely in love with myself and even my children. I can talk about my sickness without crying as I have been counseled. I am no longer bitter with my past and I have become very creative and innovative".